Would cities benefit from more autonomous governance? Image by Beau Giles. A new book published by CSIRO makes a case for a fourth layer of government at the metropolitan level, to promote more effective planning and economic strategies for Australian cities. There is no problem in this country with writing good metropolitan strategies. In fact, Australian planners, engineers and kindred professionals are sought after all over the world over for their expertise in this field. There is no shortage of know-how. Where the nation has a problem is taking these plans into action. The cities that we see today do not reflect the plans that the states and territories have been churning out for the past 25–30 years. Dramatic governance reform is required to correct this problem. In particular, Australia needs metropolitan governments. Institutions along the lines of (but not necessarily mimicking) the Greater London Authority, working alongside Commonwealth, state and local governments, will enable the translation of good plans into action. As things stand, state and Commonwealth governments cannot do this job of plan implementation. First and foremost, they do not stand for the metropolitan areas and cannot speak for them. Their constituencies may well incorporate the metropolitan areas but they do not have a mandate from these communities of interest. They lack legitimacy in prosecuting implementation of metropolitan strategies as, perhaps, is most evident when we see state governments clashing with local governments over urban consolidation policies. Local communities do not accept that state governments have the authority to impose such plans, regardless of their objective merit. Whether these communities are right or wrong is immaterial. The second reason that the states and the Commonwealth cannot implement metropolitan strategies relates to their primary purpose in the delivery of services and entitlements to the citizenry at large and at scale. This includes services like health, education, justice and income support, where citizens expect a roughly equal outcome regardless of where they might live. In a governance sense, these services require a production method which is tuned to scale and reliability. They encourage and demand delivery through what are disparagingly called administrative silos. This modus operandi makes it difficult for state governments to deal with questions of metropolitan development which require a connected way of thinking at the level of place. It is imperative to integrate transport and land use planning, for example, but state governments have generally been unable to rise to this challenge. One can point to the odd success but, by and large, the states face a structural problem with place-based planning and provision of services. The third reason why state and Commonwealth governments cannot follow through with metropolitan strategies is that vertical fiscal imbalance obfuscates accountability for implementation. If the roads are not being constructed on time the Commonwealth blames the states for incompetence, the states blame the Commonwealth for lack of funding – and the local citizens are left confused and frustrated. Nobody really understands who is responsible for what. Allied to this predicament is that when state governments engage, as the ‘owners’ of the cities for the time being at least, with the metropolitan community on preferred futures, the public participation programs become a hollow gesture. The citizens being consulted have no real stake in the outcome; that is, their tax outcomes do not change. If they want a more compact, public transport-friendly city, and if achieving that involves paying more taxes, that does not come into the equation. These matters are dealt with in other circuits, which means that the consultation process is robbed of relevance. Fourth, the state and Commonwealth governments do not have the wherewithal to undertake the taxation and market reforms necessary for implementation of metropolitan strategies. There is a great deal of speculation in Australia’s planning and urban development systems linked to the generation and allocation of development rights. The property sector is replete with agents chasing rezonings and uplifts in land value. A clear planning and economic solution to this inefficient speculation is to design an explicit market in development rights, such as the one which currently applies in the Australian Capital Territory. A proponent wanting to demolish a house and replace it with a block of flats in Canberra must first gain a development approval which will be judged on the usual planning merits, for example, will the development harmonise with the existing streetscape, can it be accommodated within local infrastructure constraints, does it obey overlooking, overshadowing and other rules? Once this technical assessment has been successfully negotiated, the proponent must apply to the territory government for a variation to the leasehold title to enable the block of flats to proceed. This involves payment of what is, in effect, a licence fee for the development rights conferred by the development approval. The territory’s leasehold system facilitates this approach to routine value capture, but there is no reason why a similar market in development rights could not be created within freehold land tenure systems. Few state governments have recognised this opportunity, let alone attempted to realise it. 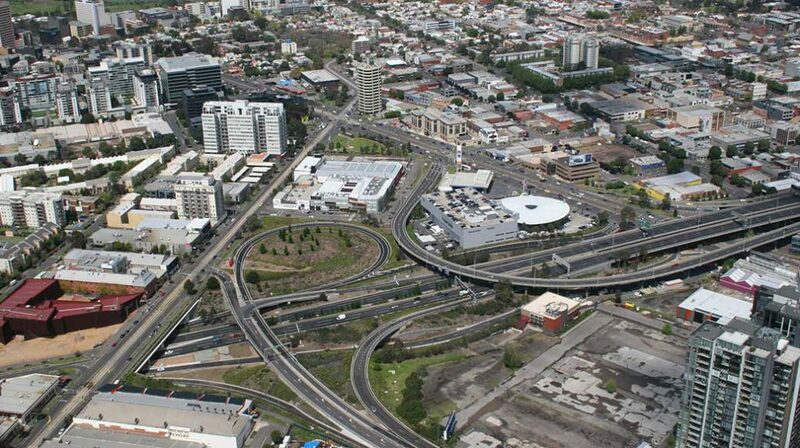 Outside the Australian Capital Territory, the uplift in land value created through infrastructure investment and development approvals is privately captured; this is the root cause of much inefficiency and, in some cases, possibly even corruption in our planning systems. Similarly, Australian cities lack road congestion pricing, despite the overwhelming evidence in its favour. Again, the lack of a mandate from the metropolitan community makes it difficult for state governments to successfully prosecute the case for such a market reform. Local governments cannot do the job of metropolitan plan implementation either, whether they work individually or collectively. This is because they stand for local communities. It is a fanciful aspiration that they can somehow lift their sights to the interests of the metropolitan area when they are obliged to prioritise local interests. Metropolitan governments are necessary but we need not think of them as competitors to state governments. They would have a relatively narrow, but highly strategic, scope of responsibilities related to regional integrated planning, running the public transport system, managing arterial roads and ensuring water and energy sustainability through distributed networks. The states would still be responsible for the high-volume (and costly) services such as education, health, policing and kindred services. States would remain a senior and important sphere of governance. Metropolitan governments would need to be fiscally autonomous and have a credible democratic mandate. This is a momentous institutional reform, but it would correct a major deficiency in Australia’s governance fabric – a deficiency that is now demonstrably holding back the nation’s performance on social, economic and environmental parameters. While this is an ambitious reform agenda, it is not unrealistic. Australia has had, in the past, quasi-metropolitan governments. The Melbourne and Metropolitan Board of Works, for example, had a scope of functions similar to that described above. It was responsible for metropolitan strategic planning. It was in charge of metropolitan roads. It had carriage of the metropolitan water supply and sewer networks which gave it great power, alongside planning rules, to manage the direction and sequencing of urban growth. It developed a regional open space system which is a treasured metropolitan asset today. It was fiscally autonomous in the sense that it had an independent rate base. It issued infrastructure bonds. It had a democratic mandate insofar as its board comprised elected members from constituent councils mandated via electoral colleges, while the state government appointed other members to establish a controlling interest. In short, it was an institution owned and accountable to the metropolitan constituency. The Commonwealth’s role is not to fix the cities but to nudge the states into this major institutional reform. It could do this by rewarding the states with additional Common wealth tax transfers based on the productivity dividend from better cities. We have done all of this before – with National Competition Program, when the federal government induced the states to undertake all manner of reforms outside the jurisdiction of the Commonwealth. NCP changed the country forever. Now a similar effort is required for the creation of metropolitan governments in Australia. This text is a chapter extract from Australia’s Metropolitan Imperative: An Agenda for Governance Reform, edited by Richard Tomlinson and Marcus Spiller and published by CSIRO Publishing. Marcus Spiller is Principal and Partner in SGS Economics & Planning Pty Ltd. Alongside his 30 years of consulting in urban economics, he has worked as an academic, adviser to the Minister for Planning in Victoria, and as a senior executive in the Queensland government. He is an Adjunct Professor at RMIT University and at the University of NSW, an Associate Professor at the University of Melbourne, a former member of the National Housing Supply Council and a former National President of the Planning Institute of Australia.